Your friendly, local estate agents in Moraira, established for more than 15 years, experienced in selling all king of properties in Moraira, Benissa, Benitachell, Javea and surrounding areas. 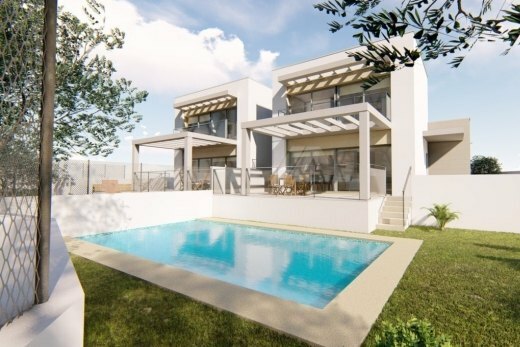 Whether you are looking either to buy or sell your property in the Moraira area, then look no further – here at Bindley Properties Real Estate Moraira we offer an unrivalled service for buyers and sellers alike, specialists in the Costa Blanca of Alicante - Spain. Our friendly multi-lingual estate agents team are always on hand to assist you. For sellers looking for a best and reputable estate agent in Moraira, Benissa, Benitachell, Javea, and the surrounding areas where you can be assured that we will do our very best to find you a suitable buyer from our extensive database of international clients. In Bindley Properties we are different from other Moraira Estates Agents because we offer an exclusive service to our clients and have a good knowledge of the area. We know the real estate market in Moraira - Teulada. We have properties on the Costa Blanca of Alicante for all budgets, from luxury villas with swimming pool and a large garden to simpler (You can see some villas for sale Moraira). From new properties to second hand and another to reform with very good possibilities. Our real estate agents Moraira (Teulada) will always help you throughout the purchase process, including refurbishment or construction of new buildings. We are one of the oldest real estate agencies of moraira Costa Blanca (Teulada - Alicante - Spain) in the area. So, we can find you the property you need. Do you need a real estate agent in Moraira?.... In Bindley Properties. Our team speaks English, Spanish, German, French and Dutch. I am very pleased with your dealings with the whole transaction and would gladly recommend Bindley Properties to anyone considering Buying or selling a property. Sandra thankyou very much and thankyou again for your patience and fairness to both sides - you have been amazing in helping us through and with the best patience ! The house is fantastic and we love it. My very best and I will recommend everyone to you! We would like to thank all the staff at Bindley Properties especially Ruth and Amaurie who have guided us through the sale process to a successful outcome. A pleasure to deal with especially as we live in the UK for part of the year, very professional but also friendly. We will and have recommended them to friends and family. We would like to thank Ruth and everyone at Bindley's for the efficient and friendly service we received during the sale of our house. We have certainly recommended you to others. My husband and I recently purchased a property in Moraira – thank you to the team at Bindley for their help. We found it to be a very professional and helpful experience. Nuestra experiencia con Bindley en las gestiones de la venta de nuestra casa ha sido muy satisfactoria ya que pese a las dificultades que fueron surgiendo siempre actuasteis con mucha profesionalidad y seriedad y no solo en la venta en sino también en todas las actividades que fueron necesarias realizarse, en resumen vuestra actuación fue sobresaliente. Bindley Properties dealt with my house transaction from start to finish in the most professional, helpful and friendly manner. They were always available for advice and questions, and I would have no hesitation in recommending their services. Ruth, Thank you so much much for all your help in our property search. We got there in the end! We would like to thank all at Bindley Properties for all the help given, keeping us up to date with what was going on and ensuring a smooth sale. We would heartily recommend Bindley Properties to any one buying or selling a property around the Moraira area. We were ourselves recommended by a friend who was also very happy with the service they received. Wir danken Ihnen herzlich für Ihren Einsatz und werden Sie ganz sicher an Nachbarn mit Verkaufsabsichten (und davon gibt es wohl mehrere) wärmstens weiterempfehlen. Sie sind uns so sympathisch und haben zusammen mit ihrem Schwager so professionell gearbeitet. Alles Gute für Sie – und weiterhin viel Erfolg im sonnigen Spanien! .. Having concluded a sale of my property they were also instructed to achieve a sale of my wife's villa which went through very quickly indeed and was very well handled particularly by Ruth as the front person and Amaurie who was invaluable behind the scenes. A great team! I would like to thank you for all your help during the whole process, it was certainly good service and we haven't hesitated to recommend Bindley Properties to others. Thank you for the quick and trouble free sale of our villa highly recommended! We kregen deskundige en enthousiaste mederkers. Ruth en Amaurie hebben ons fantastisch begleid. Geen moeite te veel. Dankzij hen hebben we het huis kunnen kopen dat we graag wilden. De tijd en energie die zij daarin gestoken hebben was geweldig. Hartelijk Dank. Just like to say how well Ruth presented our casa to the clients the other day, very professional. Bonjour David et Amaurie, je suis heureux qu'il était possible de réaliser l'achat de la maison dans la Cumbre, en dépit de certaines difficultés de procédure. Je tiens à vous remercier personnellement pour votre soutien professionnel dans cette affaire. Na jaren tekoop gestaan tehebben,kwam een half jaar geleden Ruth of zij ook het huis in de verkoop mocht nemen en Bindley hebben er vaart ingezet,een eerste klas foto presentatie en kwamen met serieuze klanten ,zo dat het huis snel vekocht was.Amaurie heeft de afwikkeling richting gemeente en notaris keurig in het nederlands verzorgd. Alle lof voor het hele team van Bindley Properties. We would both like to thank Amaurie and David for your professional attention while viewing property in Moraira. Sirva estas palabras para agradecerles las atenciones que han tenido con nosotros. Mención especial, si me lo permite, merece Amaurie. Es amable, eficaz y solucionadora de problemas. Muchas gracias. Bindleys took great care of us and found us our dream house. Everyone( particularly David) is very helpful and they feel like friends. We can highly recommend them! I had great help from everyone at Bindley Properties and when I finally found my property, they made sure the purchase was smooth and straightforward. 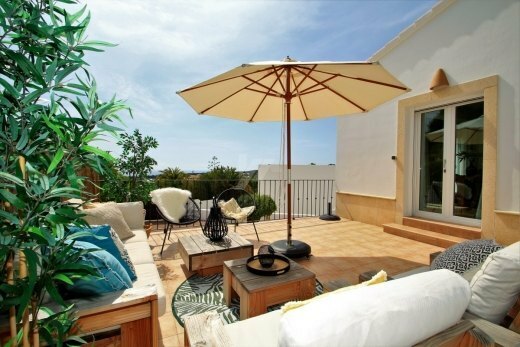 Thank you very much Bindley Properties to find us our dream house in this lovely sunny Moraira! You are a great team! Kindest regards.